Whenever I ask people where I should stay in Pagudpud in Ilocos Norte, I always get the same answer: Kapuluan Vista Resort. So when I got the chance to finally see why everyone loves this beach town so much, that’s where I stayed. It is easily the most beautiful, not to mention the most quiet resort in its area. 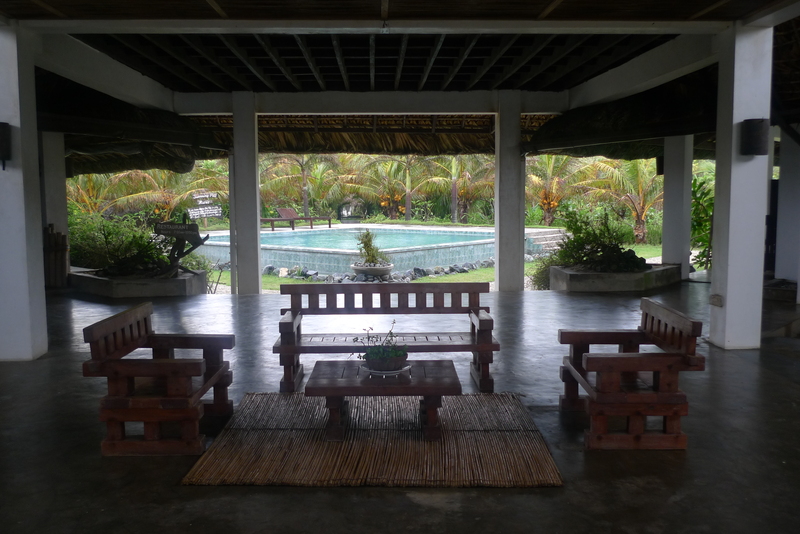 The Kapuluan Vista Resort lobby. 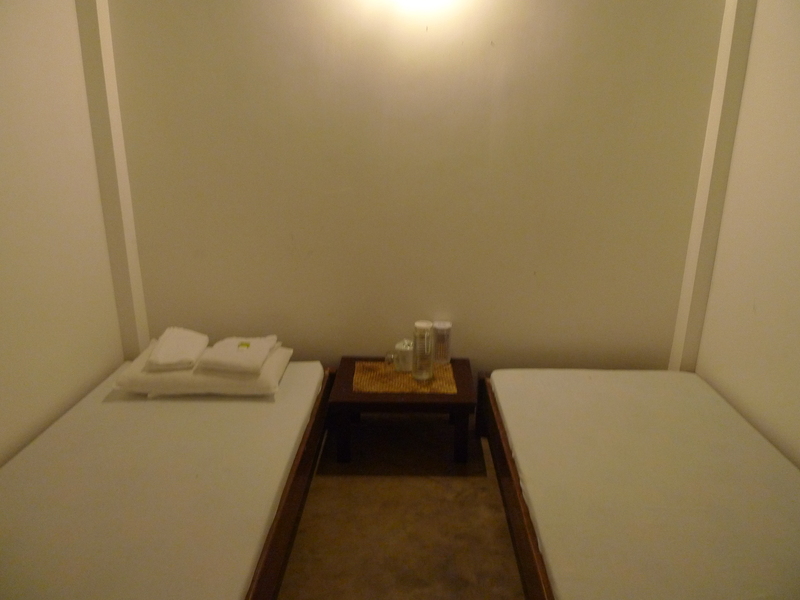 The resort is composed of a few rooms that cater to a variety of budgets, from the financially challenged backpacker (i.e. me) to the flush traveler. I stayed in a dorm room for two (there’s one that sleeps six), which is a good bargain as it costs Php600 per person, but if you’re traveling alone, you pay only Php600 and they don’t book the other bed, which means you have the room to yourself. The room is small and clean, with a ceiling fan and a screen door, just in case you want to a little more air. It also has a night light, and provides each guest with drinking water, a towel, a small bar of soap, and a packet of shampoo. The thatched roof gave me some trouble, as bits of it would sometimes fall on me and for some reason, a colony of ants decided to make a highway of my bed but on the whole, it was not a bad experience. The dorm rooms share a common bathroom, which is clean and contains numerous shower and toilet stalls. Good enough when you’re young and/or adventurous, not so good when you’re disabled like me, as I need a lot places to hold on to. 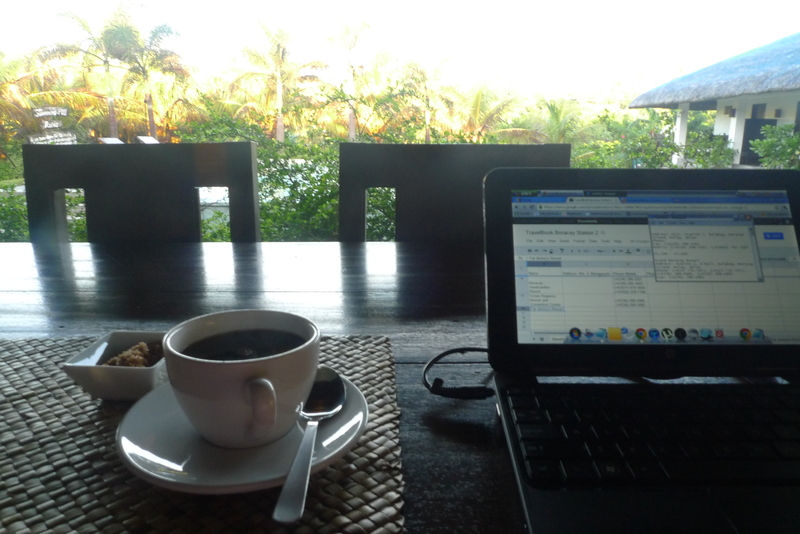 I spent a lot of time in the resort restaurant because it is the only place in the resort with WiFi, and because I like hanging around food in general. The restaurant faced the pool, which looked really tempting, but I had a lot of work to get done, so I was stuck in my “office” the whole weekend. Not that all the work I put in mattered in the end, mind you, but that’s another story. My “office” for the weekend. I also took time to explore the beach across the resort, which is gorgeous, in only the way an abandoned-looking beach can be. There’s a delta on one side, as well as a small bridge. It’s more a surfing beach than a swimming one (the equally scenic swimming beach is on the other side of town), but it’s still worth visiting, even if you don’t know which side of the surfboard is up. The staff are extremely nice and helpful, and though the resort effectively shuts down at around 10pm, there is always someone on duty just in case of emergencies, and to help guests who need assistance in the middle of the night. The resort is also home to three very cute and very friendly toy poodles, who like playing with guests. 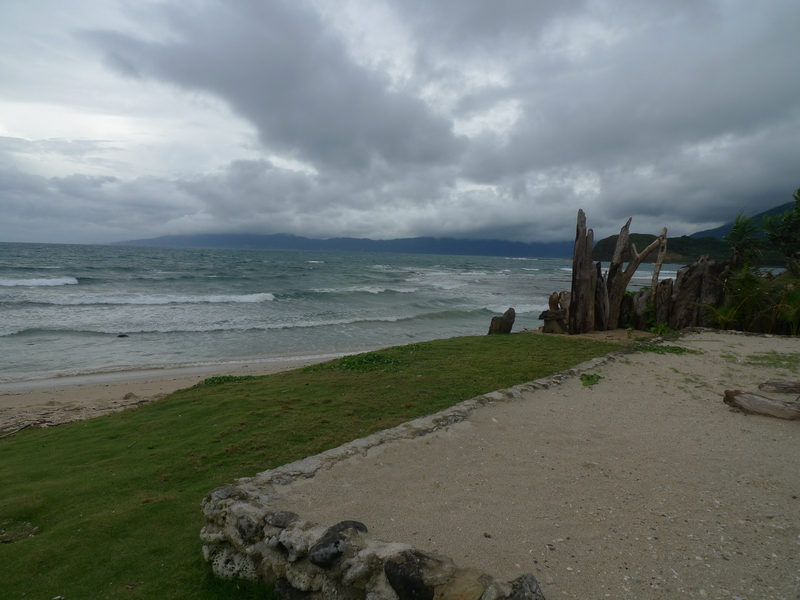 Kapuluan Vista Resort may be located in what feels like the furthest part of Pagudpud, but if what you’re looking for is good waves, or just the opportunity to recharge in a relaxing place that’s a bit hard to get to physically and by phone or internet, then the trip here is well worth it.